This wonderful 3 bedroom, 3 bath, 3-car garage home is all-new and ready for move in!. 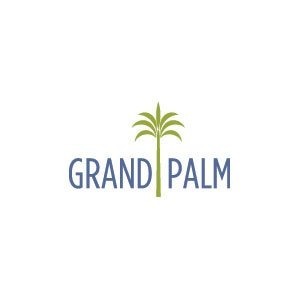 The Sanibel in Grand Palm features a generously-sized open living area at its heart, with an upgraded kitchen featuring a walk-in pantry, breakfast nook and spacious center island. Many designer upgrades are included, you'll find ceramic tile flooring in the family room and the separate dining room, recessed lighting in the tray ceilings, decorative tile backsplash and all-new stainless steel appliances in the kitchen. The master suite spans one side of the home and includes a large master bedroom with coffered ceiling and a door directly to the lanai, two walk-in closets and spacious master bath with two sink vanities, luxurious soaking tub, walk-in shower and private water closet. The Sanibel also includes two additional bedrooms and den. This home is located on a beautiful home site with water views and mature trees.